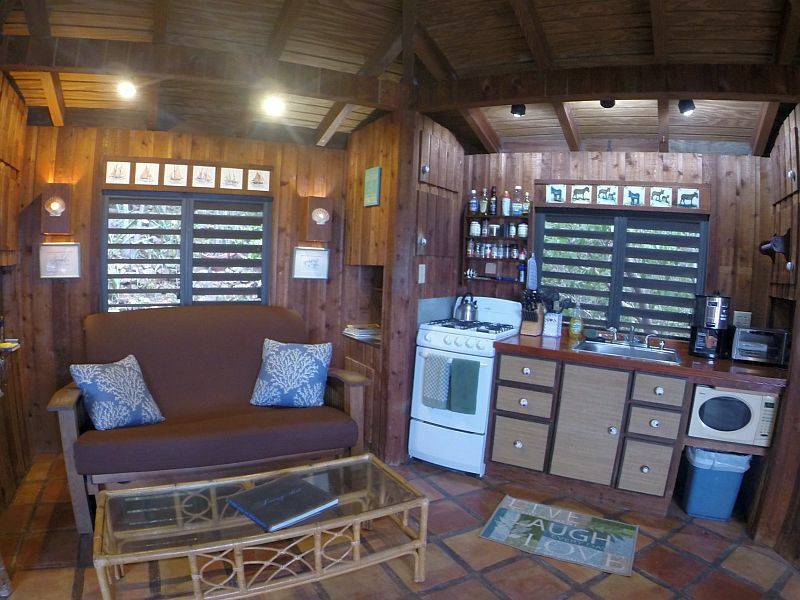 This cozy, funky, fully tiled property is perfect for you and your sweetheart. From the road, you will descend a few flights of stairs to the true tropical getaway, passing beautiful surprises like tropical flowers and gorgeous foliage all around. 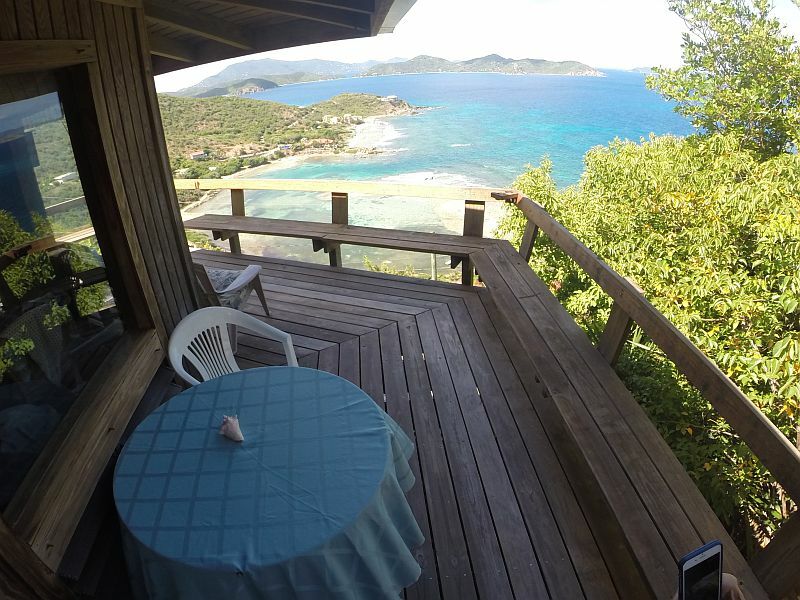 Continue walking past the foliage and you are greeted with breathtaking ocean views right at the door. Enter on the first floor to the fully stocked galley kitchen with stove top, oven microwave and all the supplies you expect to find at home, including a coffee grinder and mini food processor. The dining area opens to the quaint living room (with Netflix on the Smart TV, and stereo) making the entire upstairs an intimate area. 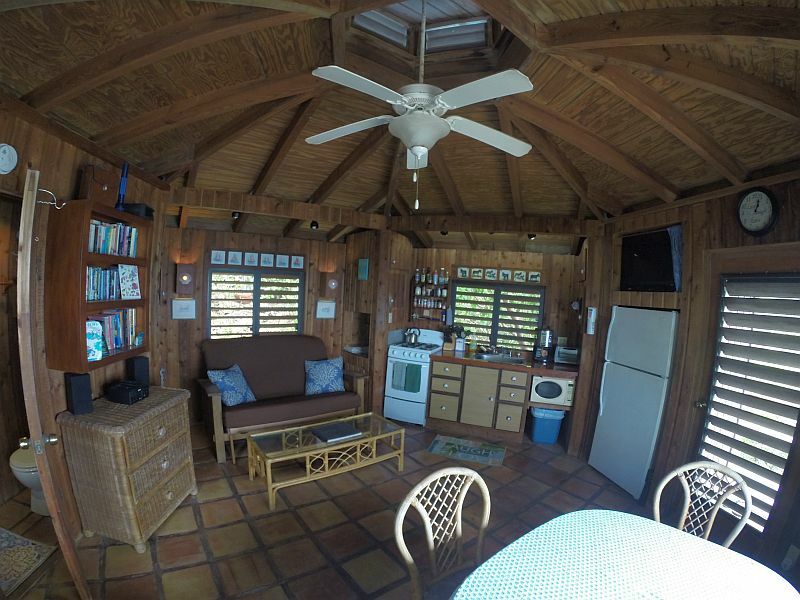 This floor also has a bathroom and access to the walkout, wrap around deck with 180-degree views of Drake’s Passage and the mouth of Coral Bay. Spend your days on the deck, in the shade or sun, whatever you please. Enjoy the breeze from the deck or even inside through the screened in windows. 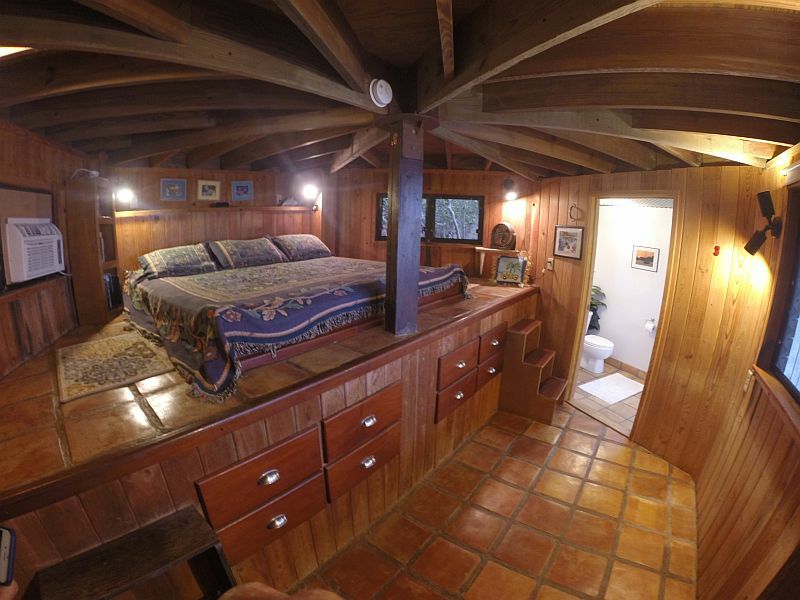 Like many tropical homes, the master bedroom is detached from the common area. 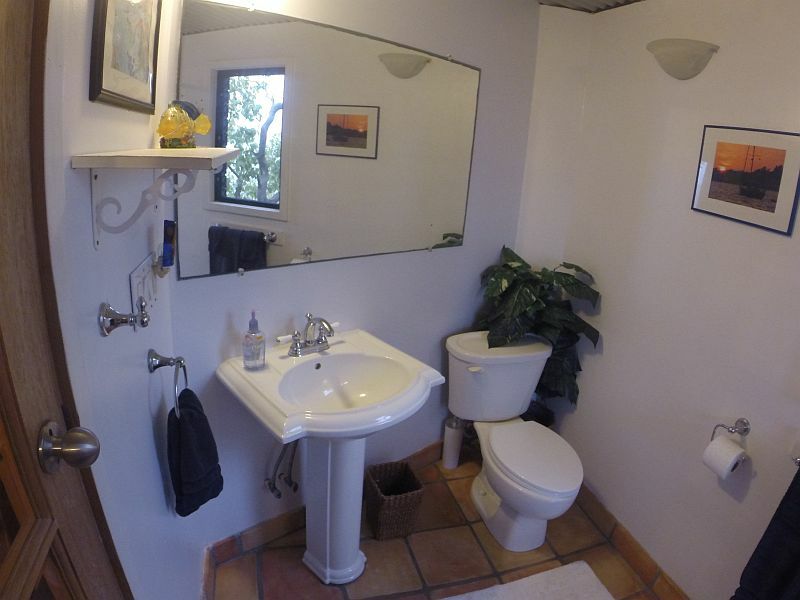 But on your path, you will find wonderful amenities. 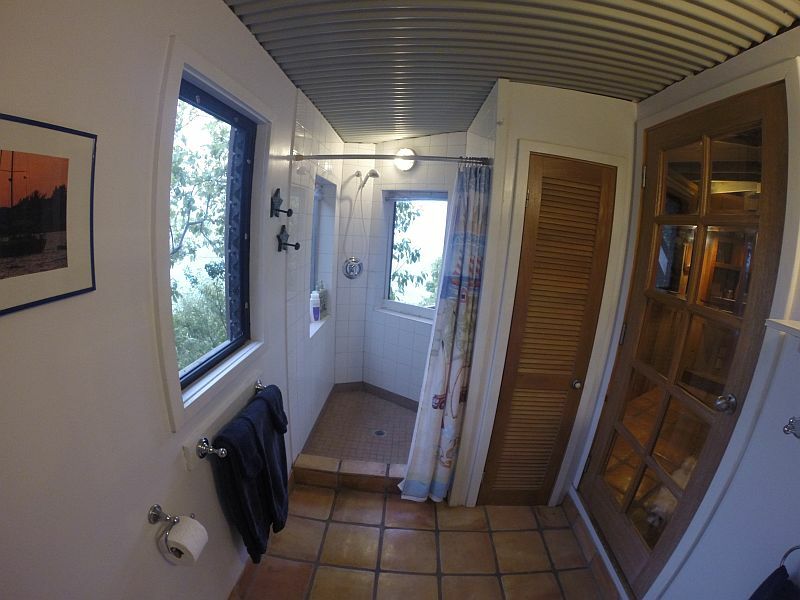 Just down the stairs outside, there is a completely private outdoor shower and plenty of hot water. 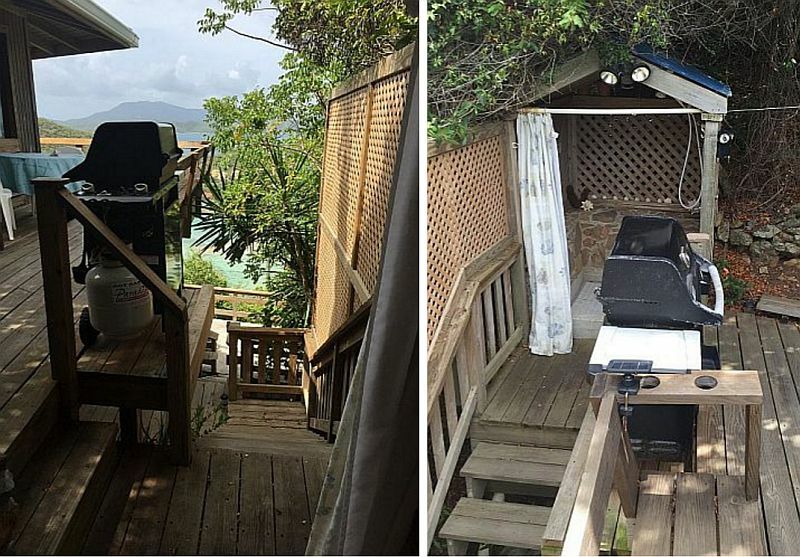 Keep down the stairs to the totally concealed outdoor deck – an absolute favorite of our guests for sunbathing. 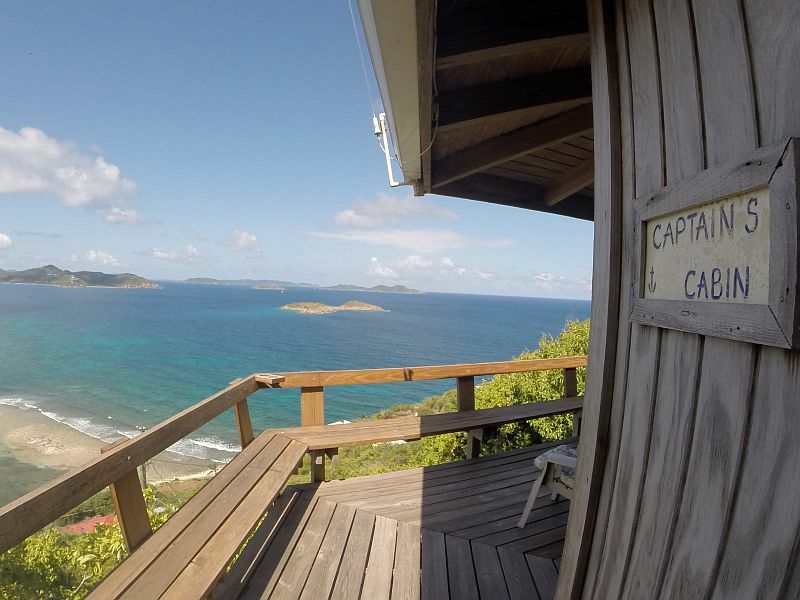 To the side of the deck, you will find the fully air-conditioned master suite, the absolute gem of Captain’s Cabin. 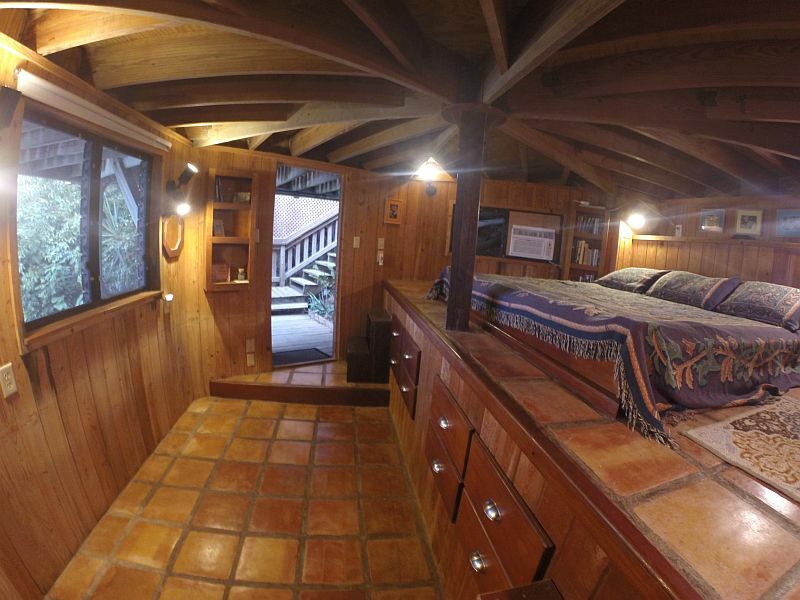 Built to resemble the Captain’s living quarter’s on a ship, this bedroom is cozy and inviting and features a king size platform bed, with lots of drawer storage below. The bed is fitted with high quality, luxury sheets, but it is the view from the bed that will leave you stunned. 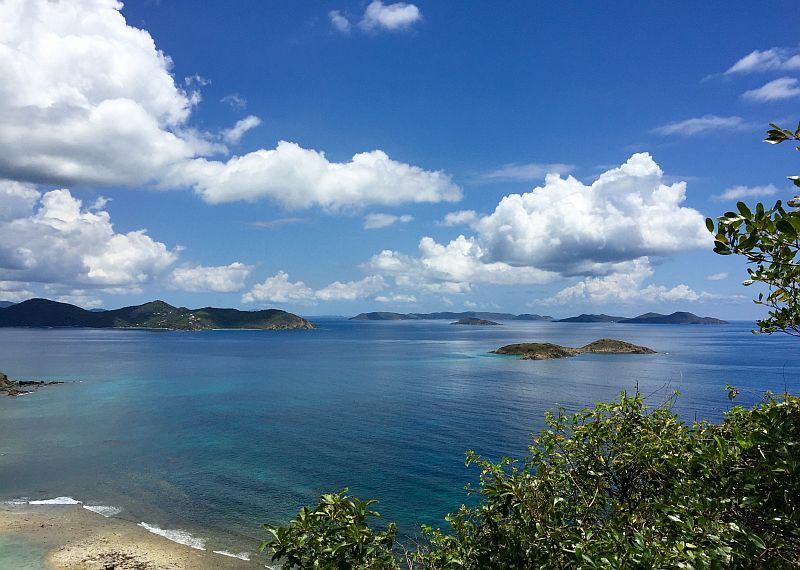 Overlooking Tortola and the British Virgin Islands, this view will never be forgotten. To the other side is the en-suite bathroom complete with a shower with a view! Deposit: A deposit of 50% of the total rental fee is due with reservation. The balance and a security deposit are due 60 days before occupancy. Cancellation and refunds: The deposit is refundable upon cancellation no less than 2 weeks (14 days) before rental period begins and only if the house can be and is re-rented for the same time period. A 20% cancellation/service charge is deducted to cover re-renting costs and is not negotiable. Later cancellations will result in a substantial reduction of the amount refunded unless a rental can be secured for the entire period being canceled at no loss in the rental fee. Rental periods are based on a daily rate. Occupancy begins on your arrival day at 3:00 p.m. local time and ends at 10:00 a.m., local time on the contracted check-out date.